As creative people we want to invest our time to build good products, good businesses, and to improve the world. We recognize that the discipline of product development is a creative process that requires the coordination of multiple specialist. It is an artform that must be practiced in much the same way as a martial art. It requires knowledge across a variety of skill set. The Idea Society's mission is to enable creative people to turn ideas into profitable products. Our vision is for contributors to invest their time in the most efficient way to build the most valuable products possible. The goal is that the contributors would then collect a monthly dividend based on the efforts they contributed earlier in the life of the product. If the product is sold later than the profits from the sale are distributed by percent to the members. It is through the following process and techniques we strive to allow for this society to form. There are three main components. Community: A slack channel community of other like minded individuals interested in working on these products as a team. Product Pipeline: A structured process that we have agreed on as the necessary levels for judging the maturity of a product. Slice Accounting: A dynamic ownership model that allows contributions to be made in exchange for percentages of ownership. When turning an idea into a reality, we have found that this series of steps is a good guide of where to begin and what to do next. 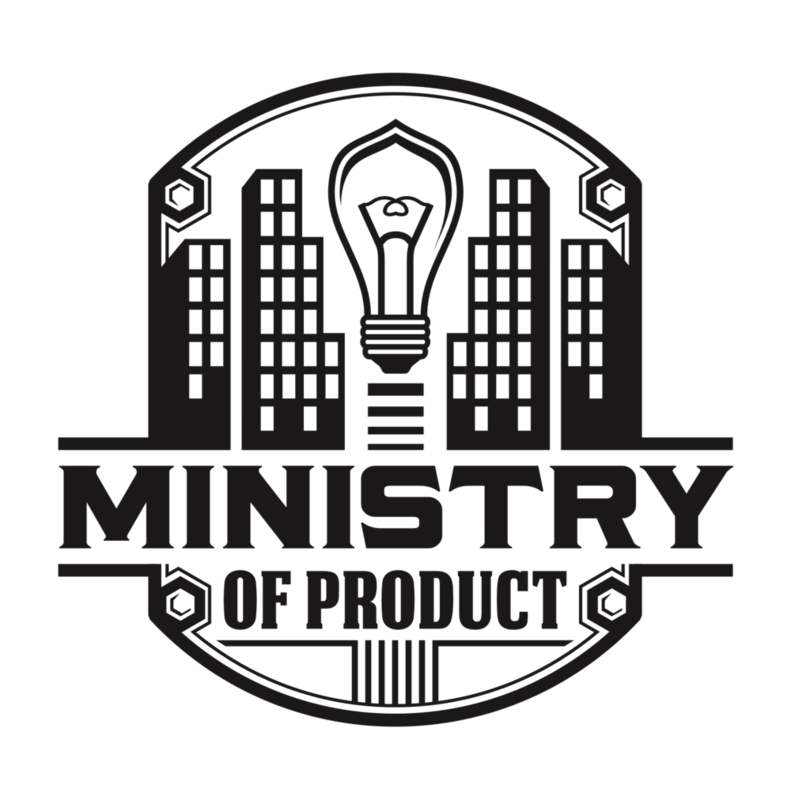 Think of it as a default product roadmap for early stage products where the goal is a product that can sustain itself. To determine ownership we use a series of budgeted percentages, or slices, to push each product to the next step. Each slice is weighted to reflect the difficulty of that step. These weights can be adjusted from project to project but the following are generally accepted. 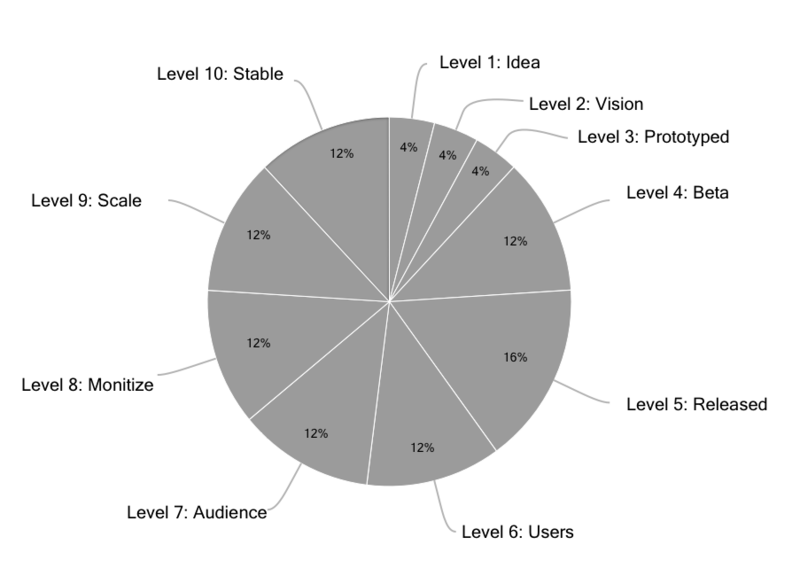 For each level the contributors are awarded percentages of that slice based on the amount of time they have contributed. Typically you do this by tracking the number of hours each person contributes to the project. For example, if 2 people are working on making the beta, and one uses 80 hours and the other uses 40 hours. Then once the beta is completed they would divide up the 12% beta slice between them. Contributor 1 would get 2/3 or 8% and Contributor 2 would get 1/3 or 4%. This templated spreadsheet is all you need to begin doing the accounting. Disclaimer: It should be noted that this is simply a way of managing the accounting and are not legally binding. By deciding as a team to use this method you can bypass the difficult decision of ownership. When the product reaches a maturity that it must be recognized as a legal entity then these percentages can be used to determine each contributors percentage in the company. After that point you should stop using this system because it now can be treated in a normal context. For a C-Corp this would mean common shares and for an LLC it would be your percentage in the LLC. A majority of us are in Seattle but we can help you find people in your area. Additionally the ideas around the Product Factory and Ideation can be found in the book "The Idea Is..." by Matt Paulin.